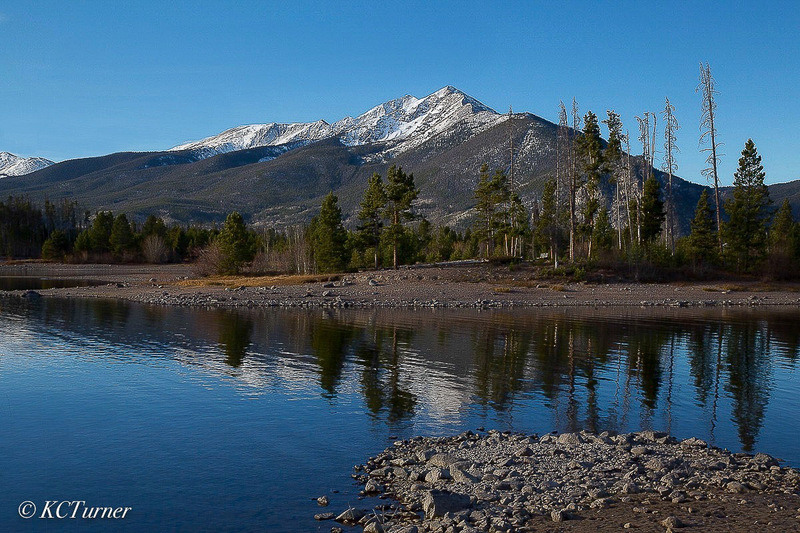 This combination of waterscape and landscape photography captured near Dillon, Colorado presents a floating view of Quandary Peak which looms just south of Breckenridge. Photo © copyright by K.C. Turner.